Howard Leight Import Sports is an electronic hearing protection which amplifies low level-sounds and at the same time automatically reduces and shuts off harmful impulse noise such as gunshot above 82 dB. When the noise reaches 82 dB, the Impact Sports reverts to passive earmuff mode. 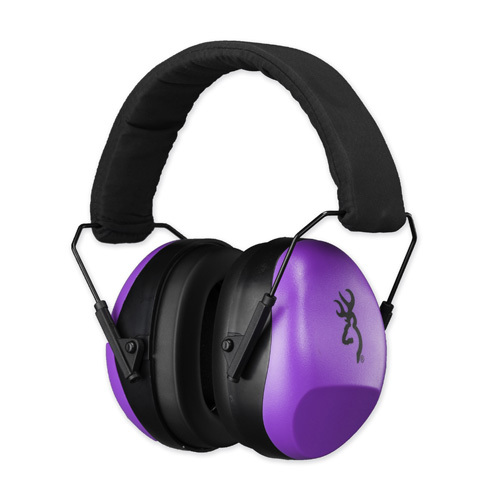 Howard Leight Import Sports is an electronic hearing protection which amplifies low level-sounds and at the same time automatically reduces and shuts off harmful impulse noise such as gunshot above 82 dB. 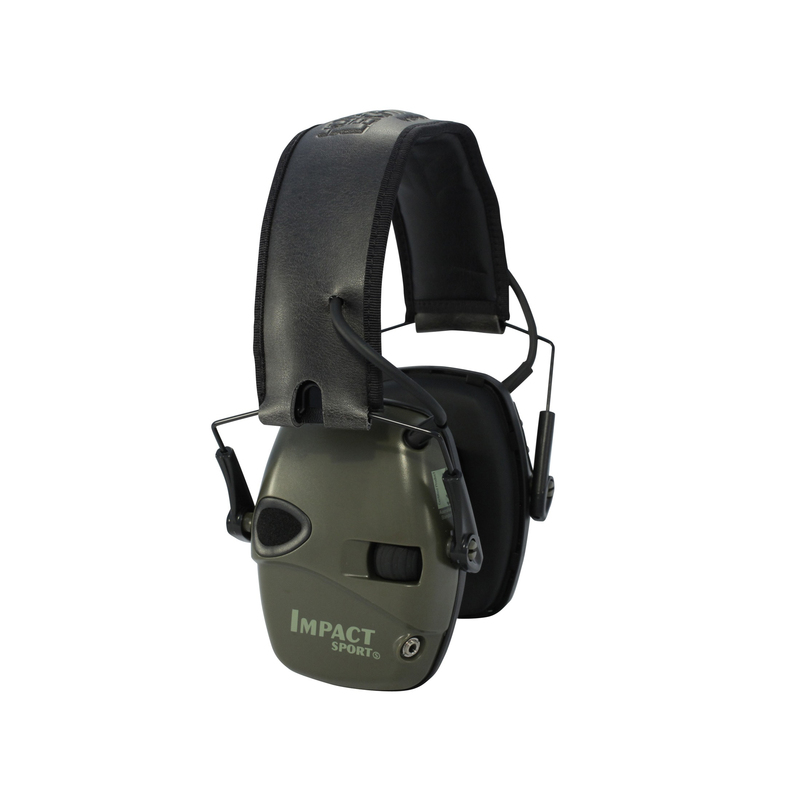 When the noise reaches 82 dB, the Impact Sports reverts to passive earmuff mode. 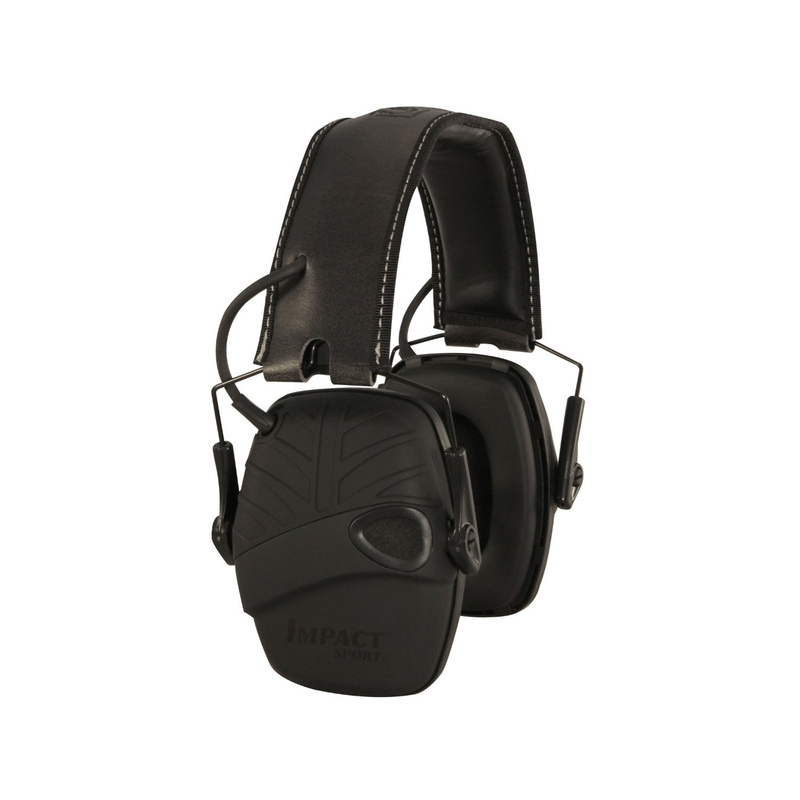 The earmuff has a built-in microphones that amplify range command and conversation even while shooting. The reproduced directional sounds in stereo are clear and crisp. It has a volume knob (which also doubles as a power knob) and an external auxiliary jack that allows you to connect your favorite audio player like an iPod or iPhone. The Howard Leight Import Sports are slim in design with low-profile cup, and can be easily folded and stored. It comes in hunter green cups and black leatherette headband, and runs on 2 AAA batteries (included in the package). Slimline earcup design with comfort cushions. Low energy consuming earmuff with automatic shut-off after 4 hours. Exterior snap-on lid for quick and easy battery replacement. Battery life of up to 350 hours. 2 AAA batteries included. Equipped with an external AUX input and connection cord that allows you to connect to any MP3 player or scanner. Single knob control for on/off and volume. Compact folding design. Adjustable padded headband. Matt black cups with deluxe padded leatherette headband and comfort cushions. 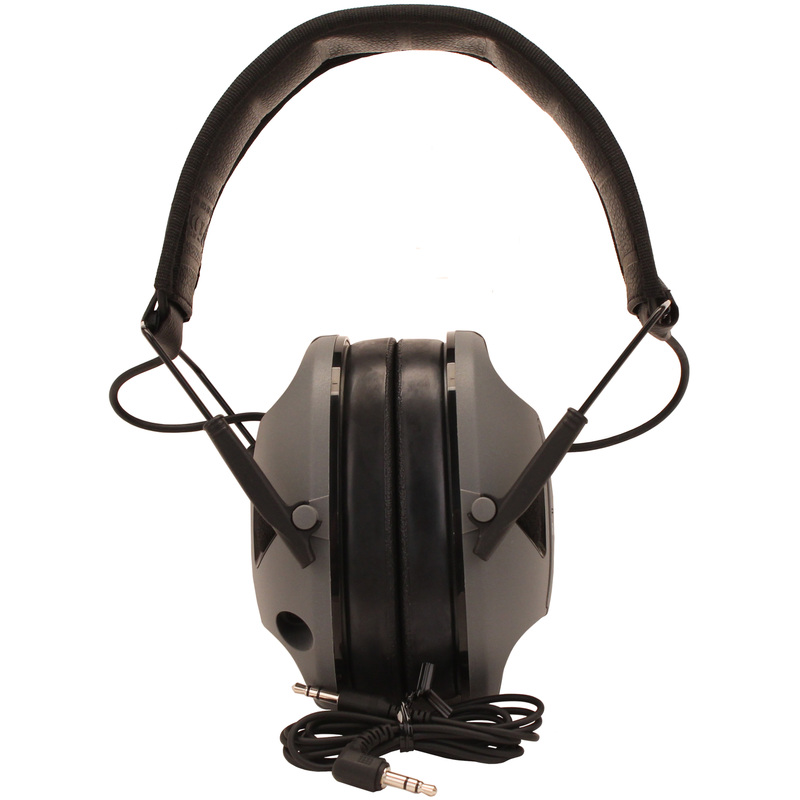 NRR 22 noise reduction rating. Airflow control Technology (AFC). 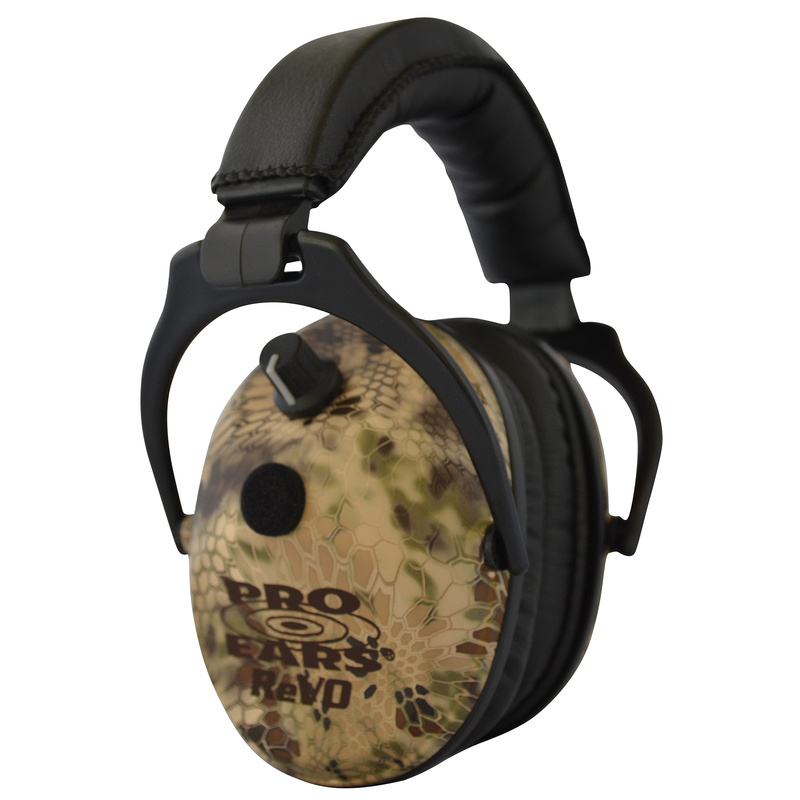 Be the first to review “Howard Leight Impact Sport Tactical, Electronic earmuff” Click here to cancel reply.